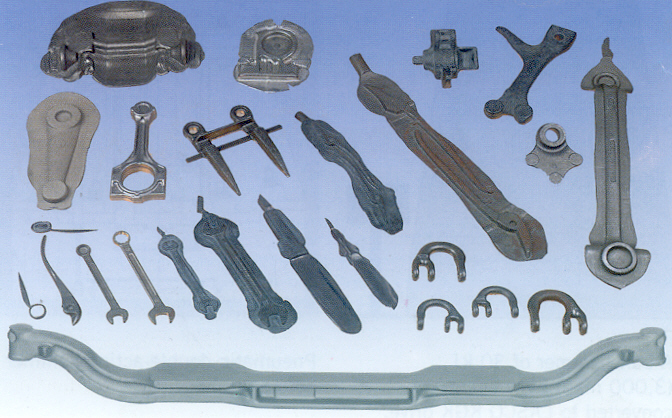 LASCO is the pioneer and inventor of the hydraulic drive system for the forging hammer. With experience in machine construction since 1863 and in the production of hydraulically driven hammers since 1952, LASCO is in the forefront of international manufacturers. LASCO produced the first hydraulic die-forging hammer, has delivered the greatest number of hydraulically driven hammers and the largest in the world. Since December 1993 LASCO has the DQS Quality Certificate to DIN ISO 9001. This is an achievement to be proud of, because DIN ISO 9001(since 1994 known as DIN EN ISO 9001) is the current worldwide leading quality standard. The LASCO hydraulic double-acting die forging hammers have lots of advantages, such as: great repeatability due to precise blow energy setting; minimum ram guide clearance; minimum downtime; low maintenance and the produced parts with weight consistency and minimum mismatch. The most modern techniques of design, manufacturing and administration together with a competent team of personnel, characterize our readiness to perform to the standard necessary to secure our established leading position for the future.